Due to the overwhelming requests for our premium discus lines, prices and stock change frequently. Please contact us for a current stock and price list. You may call us at (586) 322-3891 or send us an e-mail. Please make sure to state your telephone number when leaving a message. Shipping is $75 via "Delta Dash" to your airport for guaranteed live delivery. We guarantee high quality or your money back. Great Lakes Discus also can ship to your door via FedEx for $75 weekdays (Saturday morning delivery is an additional $12), also with our same guarantee. There may be additional shipping costs involved when shipping to the West coast of the United States, Alaska, or Hawaii when shipping through FedEx. Please read below for additional shipping information. -We guarantee a live shipment! This means that if you have any Dead on Arrival's (DOA's) upon delivery will give you a full refund for that fish. However, this does not happen often. -We also guarantee you the highest quality. Cary Strong, owner of Great Lakes Discus, will hand pick each fish himself. So if one of his discus come to your home with missing body parts, bad eyes, poor shape, or they are the wrong color we will give you a full refund on that discus. This would also include any damage to your discus during shipping. For the most part these occurrences are rare but can happen. -We will give all of our clients a bill of health for a 10-day trial. This means within the 10 days, if your discus are not eating, if they are breaking down, or black and hiding you will receive a full refund on that discus. However, this will only be given to our clients that contact us within the 10-day period seeking our help. Please note: 1" fry will be excluded from this guarantee. 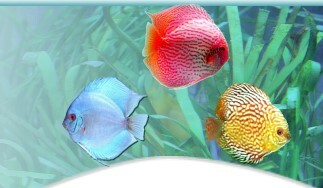 We will only cover 2.5" discus and larger. Again, this will hardly happen, as long as, things are good on your end. This would mean good, steady parameters for the discus, proper heat, good clean foods, and lots of clean water. This would also include a complete quarantine from all other current live stock, including other fish or plants. If you are not sure how to care for our discus please feel free to call us at (586) 322-3891. We would be glad to help out in anyway we can. Shipping to you nearest airport will run $75 USD. This will cover 50lbs. Which is about 2 boxes. To receive a shipment at the airport we will need all your info, including, the name of you airport, your home address, and all available phone numbers. Please send this along with your order to GLD in an email. aquastrong@aol.com. Shipping to you door will run $75 and up depending which state we are shipping to and how big of an order needs to be sent. For the most part $75 will cover one box of Discus. When placing an order for door to door please include your full address, all available phone numbers and your order. Please email this info to us at aquastrong@aol.com. We would also like you to know that delivery by FedEx will arrive around 10:30AM. SOMEONE WILL NEED TO BE HOME TO SIGN FOR THE BOX. If FedEx needs to redeliver the box then this would void the live, quality and damage guarantee! The same would apply to airport pickups! FOR EXTREMELY FAST SERVICE PLEASE CALL US (586) 322-3891. In most cases this may be the best way to help you. Thanks again for visiting Great Lakes Discus where quality not quantity starts!